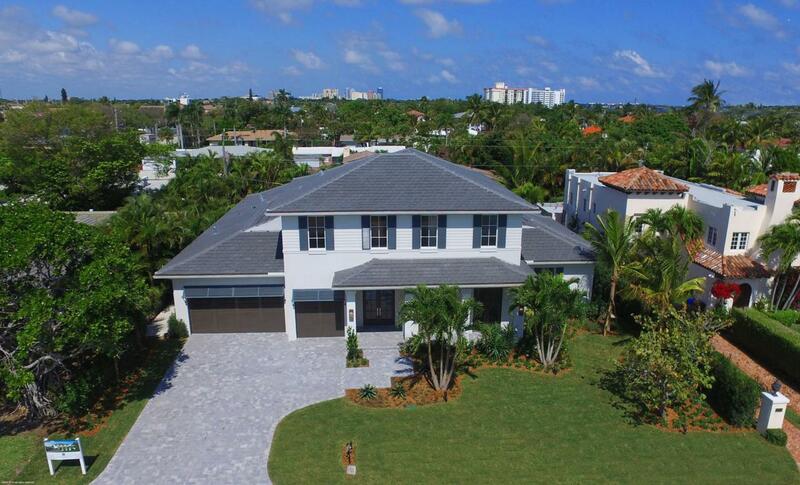 A chic, fresh interpretation of classical architectural style greets you with this newly built home totaling 6958 square feet with 5527 square feet under conditioned air, including a three car garage and loggia with a summer kitchen. Sweeping open living spaces are featured throughout this residence. The bright, elegant interiors and the lushly landscaped sun kissed pool, spa and covered loggia meld into one for a tropical haven.As you enter through the double solid mahogany French doors your views are taken through the expansive foyer and great room to the rear garden with its bubbling fountain and landscaped pool area. ...The first-floor main areas are graced with 24" x 24" marble flooring. The foyer is highlighted by an oak herringbone pattern inlay floor. This same oak flooring is carried up the elegant staircase and throughout the main areas of the second floor. The chef's kitchen anchors the great room with the bright, glass sided dining area beyond. A mosaic of Dove Gray clear and frosted glass above the 48" Professional style Thermador gas range with double ovens and custom fabricated hood captures your eye. The high-end appliances include a Thermador 30" refrigerator and 30" freezer. A kitchen that's not only a delight for cooking but entertaining as well is equipped with a wine cooler and ice maker which makes entertaining a breeze. The dramatic island bar, which seats five, has waterfall edges finished in natural Quartize stone. The balance of the kitchen counters are finished in Caesarstone. A separate butler's and walk-in pantry maximize storage. In addition, the laundry room is easily accessible to facilitate multitasking. The spacious dining area has a hipped ceiling finished in tongue and groove planking. The lushly landscaped pool and spa create a dramatic backdrop for the dining area with its two walls of glass. At the opposing end of the great room is a feature wall with custom designed built in cabinetry and two pair of 10' high glass paneled doors which lead into the adjacent club room. This room can remain open to the great room or closed for separate entertaining. The separate office faces a southern exposure where two pair of solid mahogany French doors allows ample light through them, setting a tone of serenity. The Master Suite commands a front to poolside presence. The pool is a quick step away with direct access from the suite. Generous his and hers closets bookend the elegant master bath which features a soaking tub, spacious marble shower with multiple shower heads and bench, two separate designer inspired vanities and water closet rooms. A graceful mother-of-pearl inlay set in the marble flooring exudes an exquisite tone. Your choice of stairs or elevator bring you to the second floor. Beyond the loft's sitting area are 3 spacious bedrooms each with their own elegantly appointed ensuite bath and walk in closet. In addition, a second laundry room is steps away with a full-size washer and dryer. 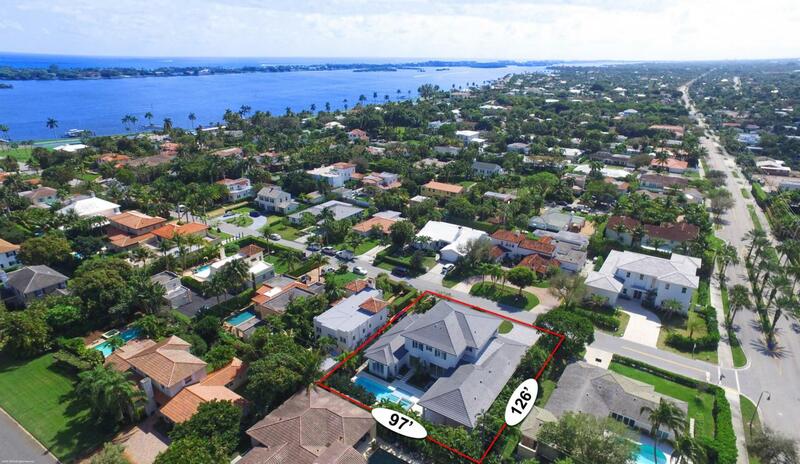 Built by South Florida premier builder Courchene Development Corporation who has been building luxury residences in Palm Beach County for more than five decades. Courchene Development coupled with Insignia Design Group's impeccable selection of architectural detailing and finishes truly create a home of distinction. 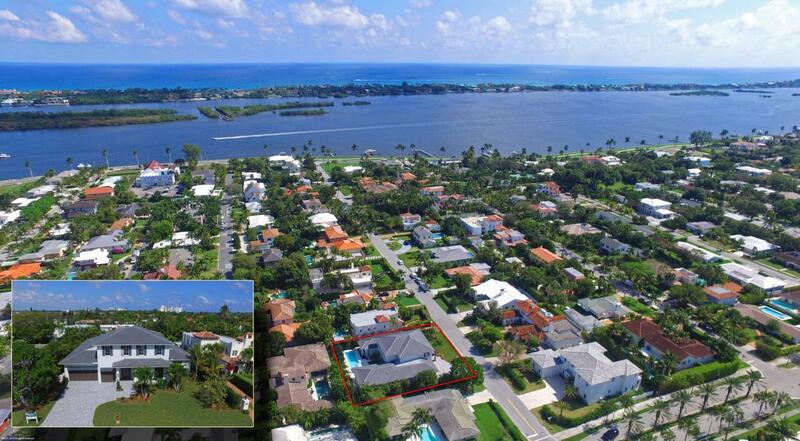 Located in the very desirable South of Southern "SoSo" neighborhood in West Palm Beach, Florida on an oversized, 97' x 126', lot. 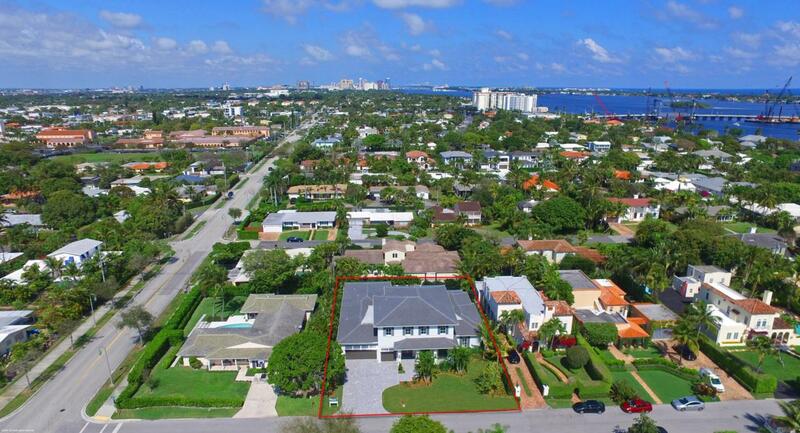 Minutes away to Palm Beach, City Place, fine dining and shopping, beaches and Palm Beach International airport. Enjoy walking along breezy Flagler Drive trail just steps away from the front door. Listing provided courtesy of Courchene Development Corp..